You have done your homework and figured out what you need for your new HVAC system. You looked at our recent article to help you do this and are ready to take the next steps. Whether a replacement HVAC system or a whole new one from scratch where you haven’t had one before, the process is similar when getting it installed. But what exactly is that process? What should you expect? How long will it take? How much disruption will there be? When will you be able to turn it on and enjoy your new comfort-cooled (or heated) space? This month’s article sets out a few basics to help you understand the process so that you are fully prepared when the engineers turn up on your doorstep. On arrival the first thing to take place is a quick check of the space they are working in and what the old system entails, should you have one that needs to be removed. From there any surface areas that could be damaged will be covered up with drop cloths; this also helps keep dust at bay as inevitably there will be some as the team moves around and disturbs things. To remove any old units the power will have to be turned off, so if you need a hot drink get one before this happens. On disconnecting the old unit, they will also carefully drain the coolant in the system to dispose of it separately. Everything will be set aside to be taken for proper disposal at the end of the day. As each job and each location is unique it is not always possible to give a definitive timescale; however, on arrival our team will be able to advise on how long it is likely to take we will give you a time estimate once we know more about the specifics of your premises. We build in some time to allow for unforeseen complications, or problems, which can happen at any time. 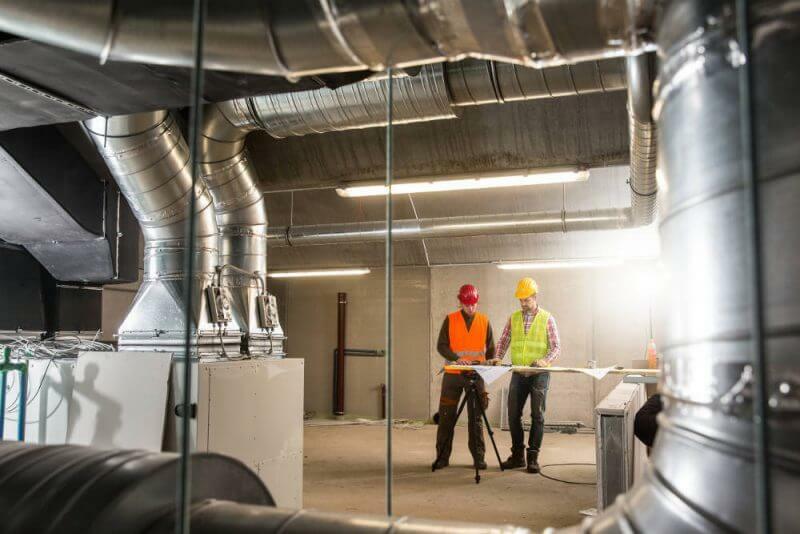 If your business premises are particularly large and require more than one air conditioning unit then we will take this into account with the size of team that comes in to do the job and we will have given you an estimate of time from the outset. When the job has been completed, we will take some time to explain things to you. This will include operating your new units: how to set and manage the controller, how things will look and what they will sound like in the plant room, how to keep things working as efficiently as possible, and what the maintenance requirements are. We are available on the phone and on email to answer any questions you may have as you settle into using your new system. or call us on 020 8333 1191 for a discussion and to make an appointment.